I found out about this on Sophie Cliff's blog and knew I had to schedule in a trip. After lots of deliberation, I opted to try their dinner menu instead of their infamous brunch menu. Located right next to the Highline in the Meatpacking District, it's a great option for an early dinner if you're hanging out in the area. Even at 5pm it was pretty packed and had a great buzzing atmosphere. Service was friendly, jovial and quick. I'd seen pictures of their burgers on Instagram so knew this was what I was going to have even before I had arrived. Cheese makes everything better so I added blue cheese to my order. What a revelation! The huge chunks of creamy blue cheese really did bring the burger up a notch. My mum even declared it was the best burger she had ever eaten. 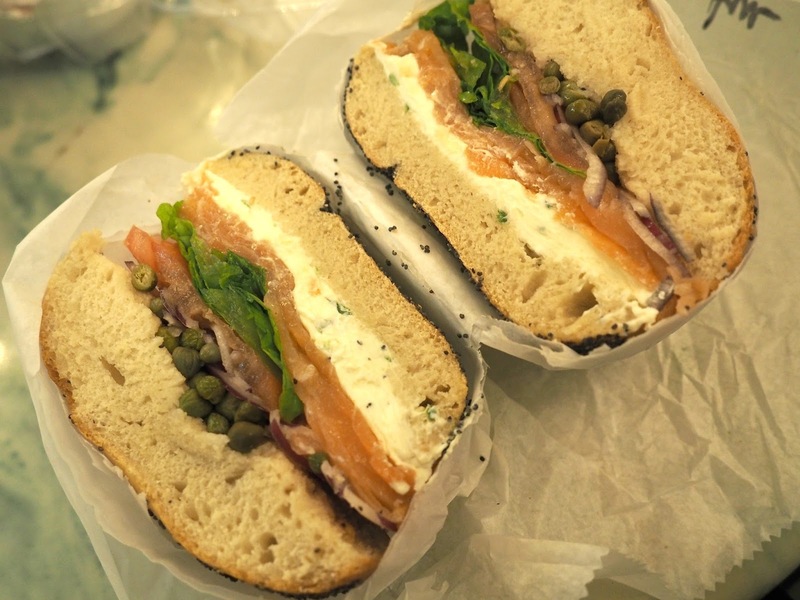 A recomendation from Kelly, she said it may be one of the most expensive bagels in NYC but it was absolutely worth it. She was so right! I missed out on a traditional New York bagel last time I as in the city so I wanted all the cream cheese and smoked salmon. 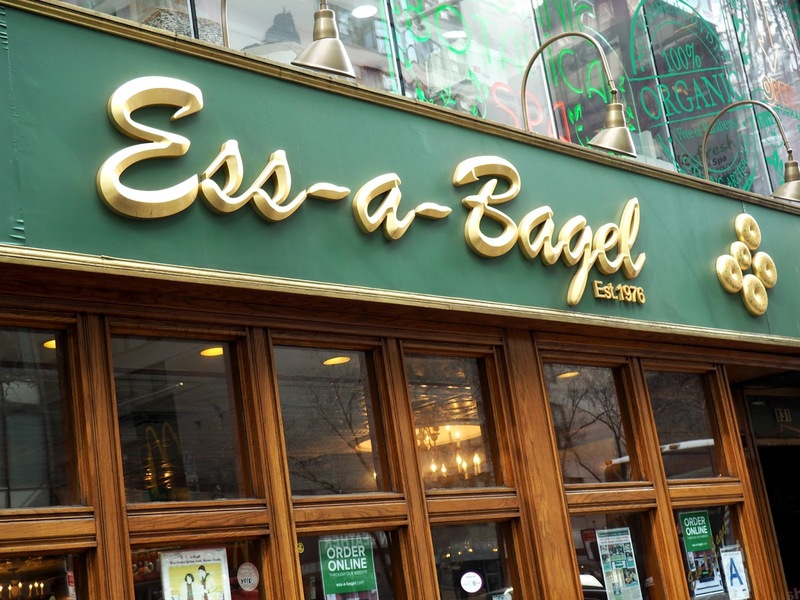 Ess-A-Bagel, located on 3rd Avenue between50th and 51st Street, certainly don't scrimp on the fillings - it was absolutely huge. We went for a late lunch and and couldn't manage anything for dinner so be prepared for this! We meant to make it back from a second buy just ran out of time. It's one of the first places I'll be visiting when I make it back to NYC. Pizza is my perfect last supper so I was so happy to finally make it to one of the meccas. We popped in for an early dinner in Dumbo before heading over the Brooklyn Bridge. We had to queue for around 15 minutes but it was worth every minute in the cold. To be honest you probably only need a small but we were starving so opted for a large which gave us four slices each. 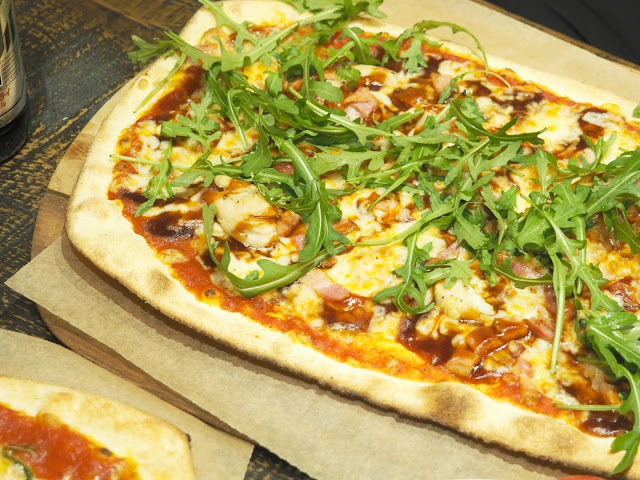 You choose a white or marinara pizza then customise your toppings. Each topping is around $2-$4 each. My mum prefers vegetarian pizzas so we chose all the vegetables on offer and I snuck in some meatballs too. I loved the fact your could design it exactly how you wanted. It was delicious! 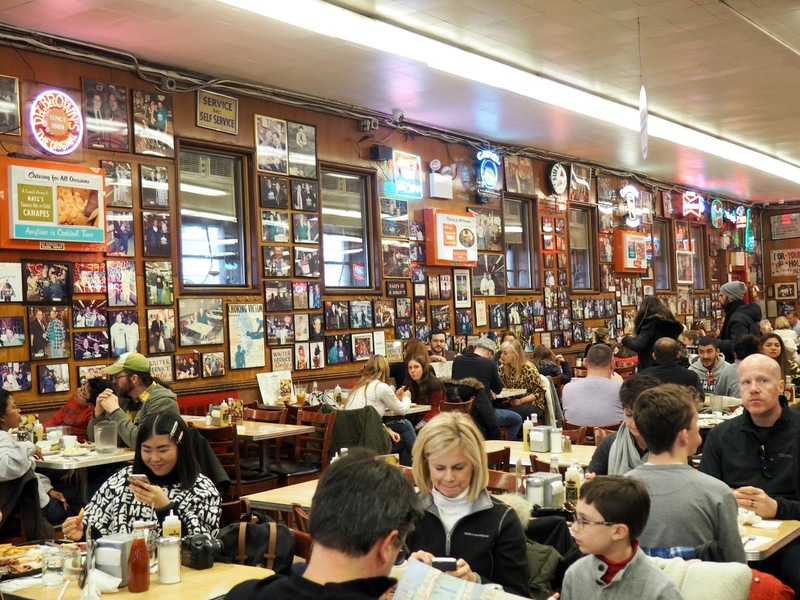 Around since 1888, Kat'z Deli is most famous for THAT scene in When Harry Met Sally and is absolute mayhem. It's quite overwhelming when you enter with the self service quite confusing at first. But we knew what we wanted to try so just headed straight for the sandwich counter. 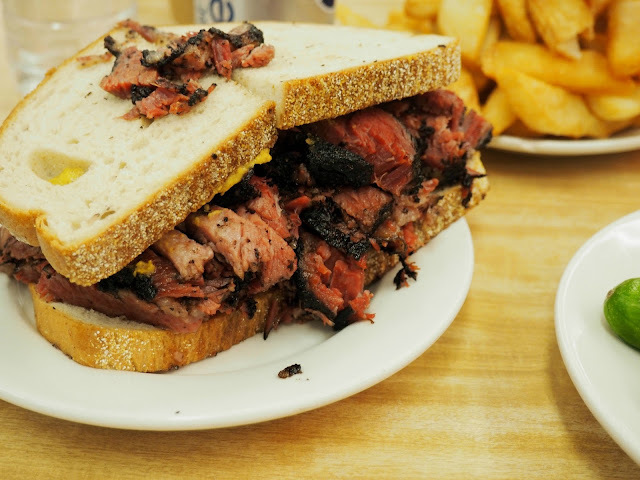 A pastrami sandwich to share and a plate of chips - proper thick chips at that. It really does feel like you've taken a step back in time and I'm dying to go back and try the Reuben. 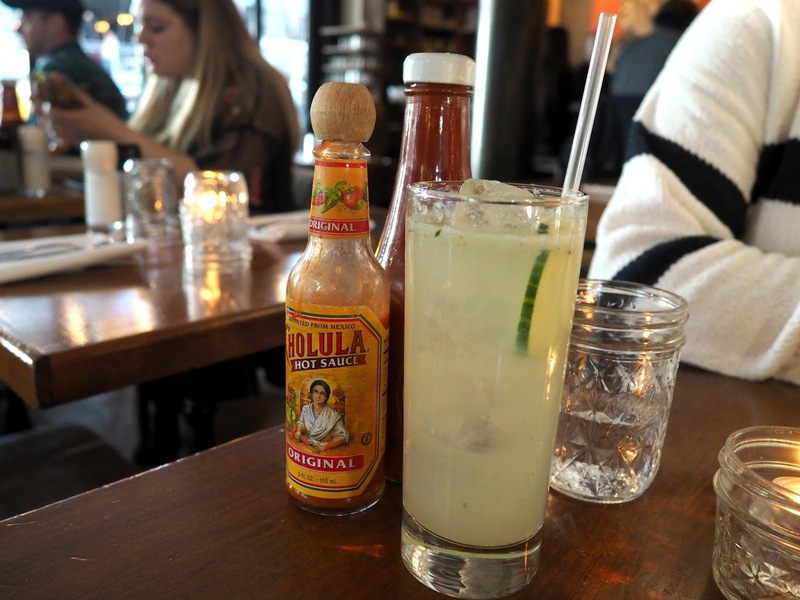 Boasting seven locations in the city, we dined at the one in Hell's Kitchen as it was the closest to our hotel. Only selling meatballs and accompaniments, the menu is pretty simple. 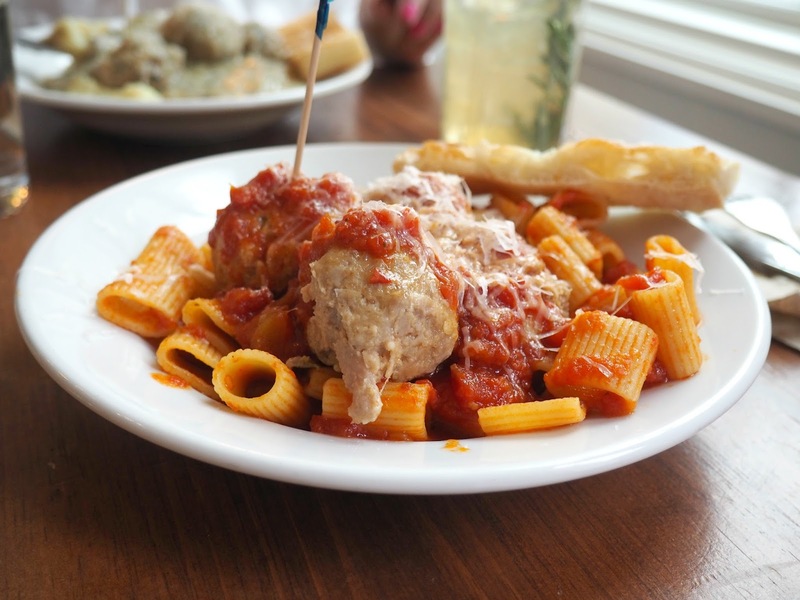 You choose your type of ball and opt for a sauce and style of which they are served. Keeping things traditional, I went for the classic meatballs on a bed of pasta in a simple tomato sauce - comfort food at it's finest! 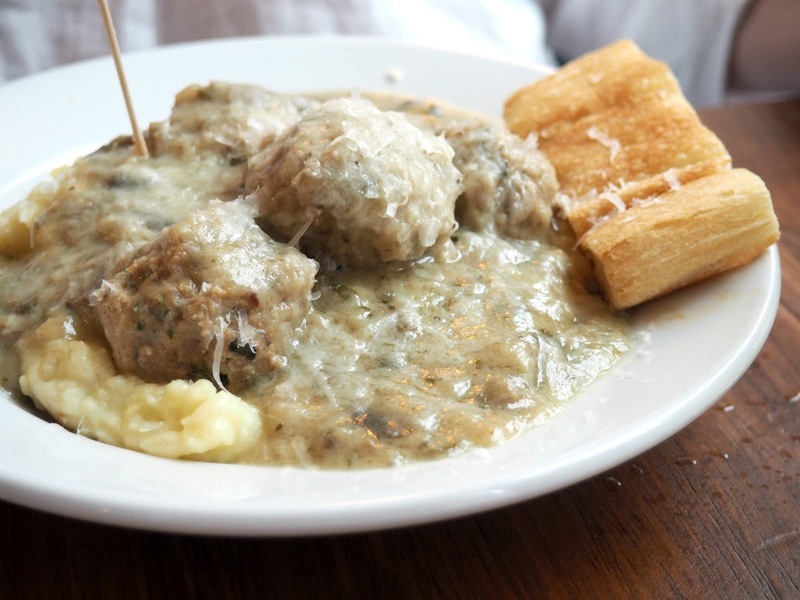 You must get the mini chicken buffalo balls to share as a starter too. 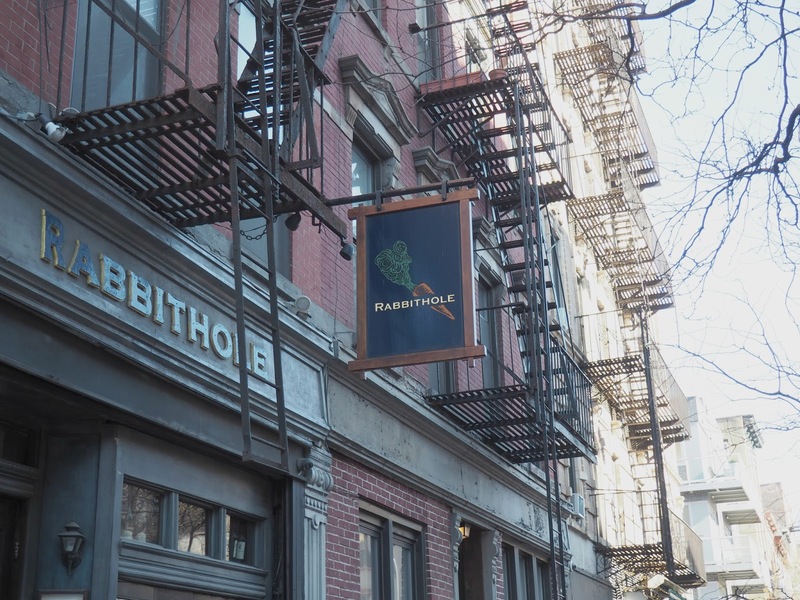 A great option if you've crossed the Williamsburg Bridge, Rabbithole is a cute little hipster restaurant with exposed brick and a lavish chandeliers. 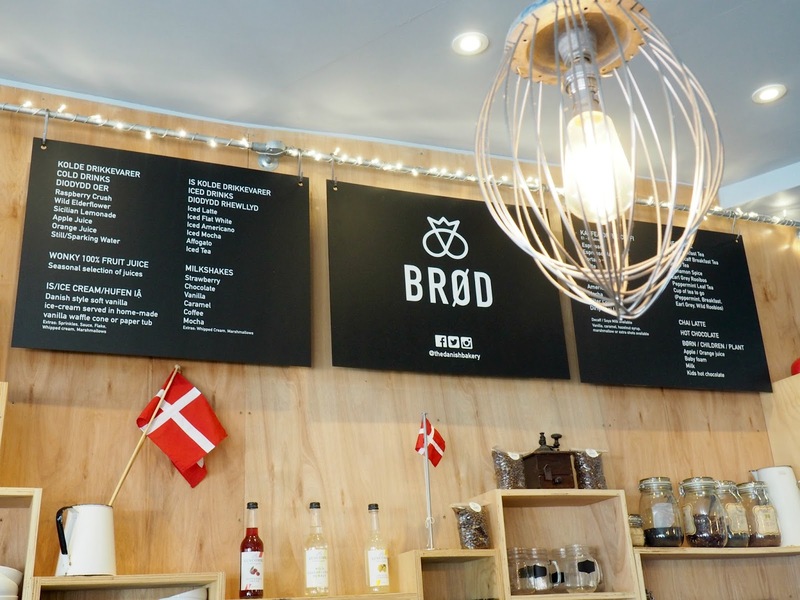 They do lots of brunch favourite such as avocado on toast, eggs Benedict, stuffed French toast and soft omelettes. 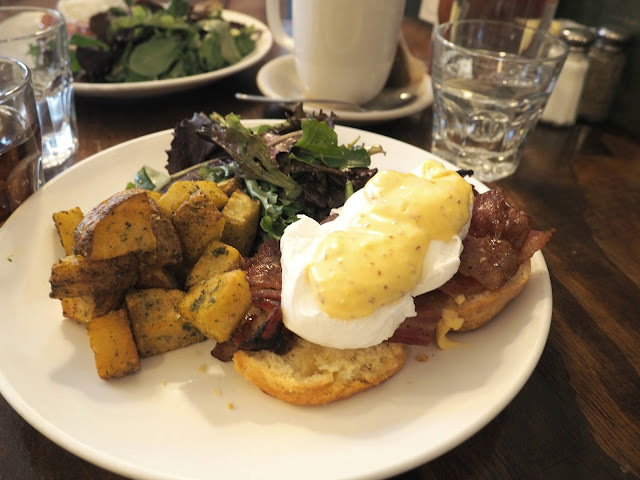 The Eggs Benedict comes highly recommend - if only they were more generous with the hollandaise sauce! 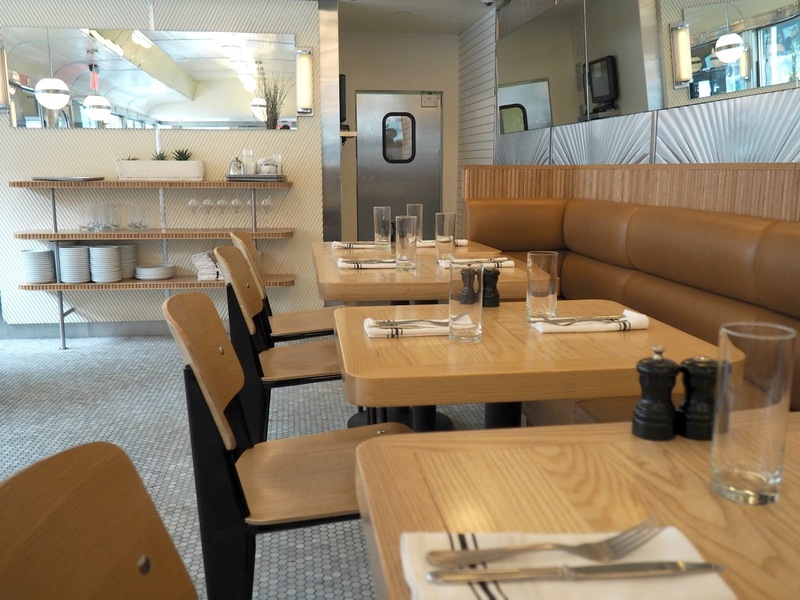 For a twist on American classics, head to Empire Diner in Greenwich for some grub. 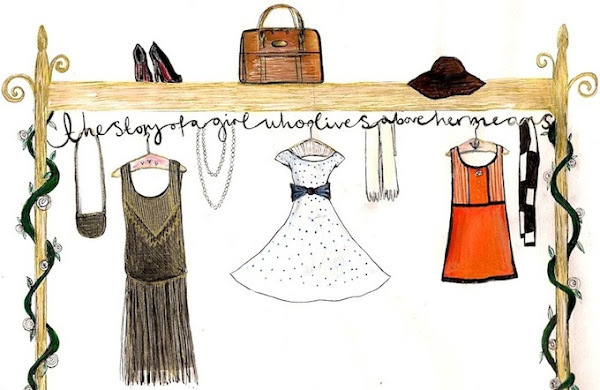 The Art Deco interiors are to die for and I felt like I should have been wearing a tussled flapper dress to fit in. 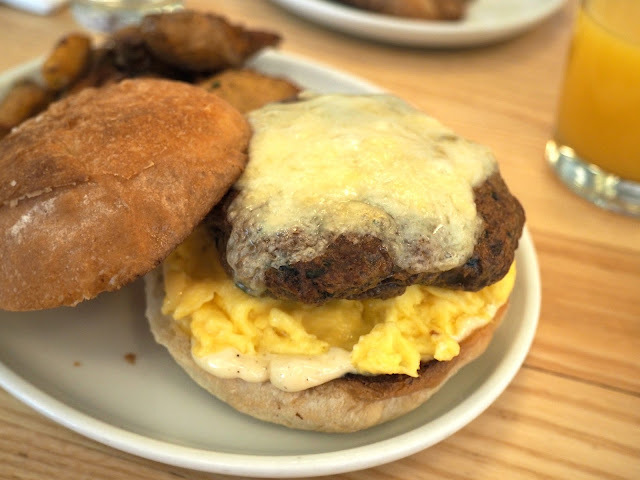 We decided to try the breakfast menu and I can't rave about my breakfast sandwich enough - basically a burger but with the best bits of breakfast. Divine! Once again service was really friendly which makes all the difference when you're eating out. A email popped into my inbox asking if I fancied trying out the new Tank and Paddle restaurant in Regent Street. Pizza and beer? How on earth could I say no? 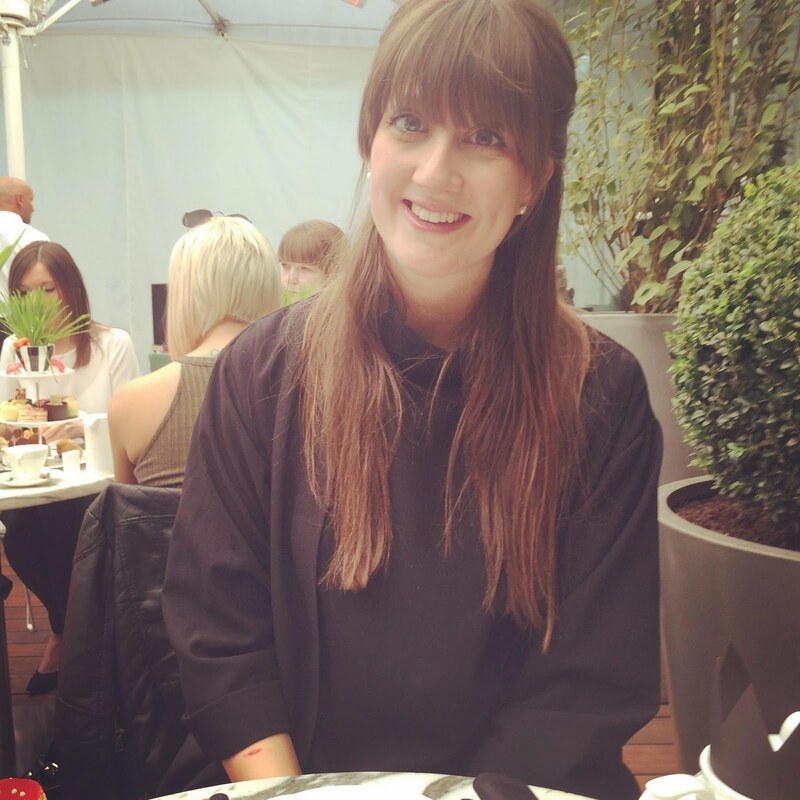 So I invited the BFF and we took ourselves off to London for an afternoon of stuffing ourselves silly and putting the world to rights. 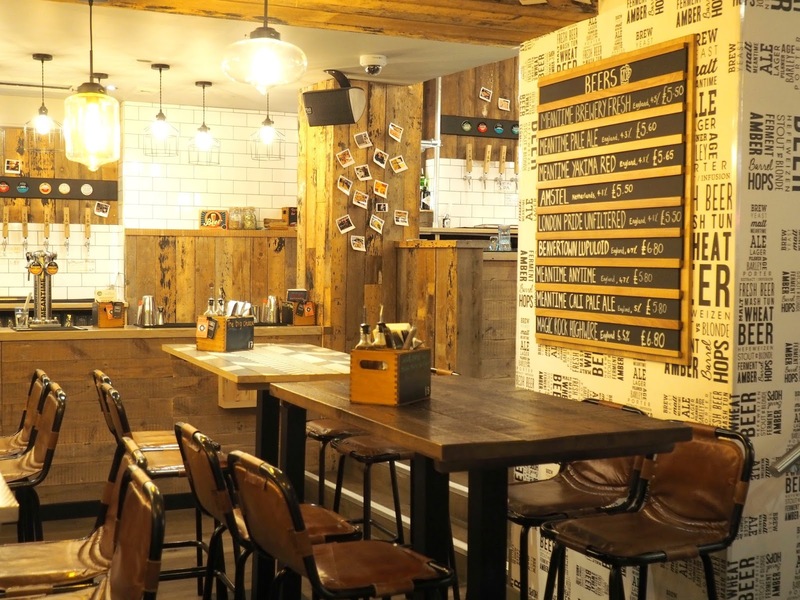 There are now three different branches in London with a pretty simple concept. You're seated by a the wait staff and given a menu. 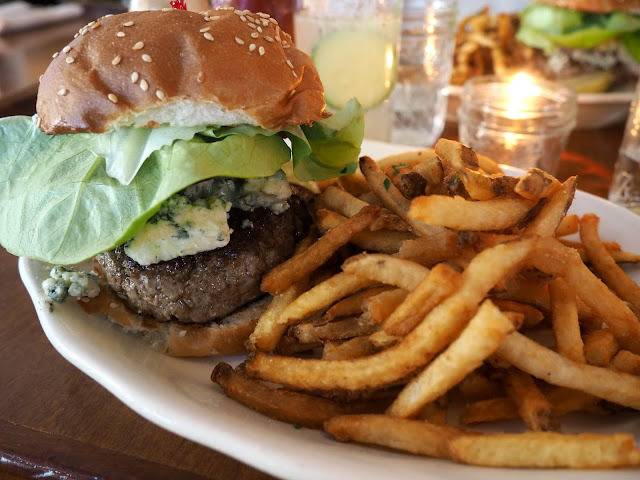 Once you've chosen what you're going to eat, you hop along to the bar to order both your food and drinks. Then it's all brought to your table and you can tuck in like your life depends on it. After deliberating for a while, we decided on a pizza each and a Mac and cheese to share. After all, you can't not order Mac and cheese when it's on the menu can you? If you don't then I'm not sure we can be friends... I'm a massive fan of spinach and chicken on a pizza so opted for The Chick-Flick. A delicious concoction of tender cajun spicy chicken, fresh Pappadew peppers, wilted spinach and soft red onions. Tank and Paddle certainly don't scrimp on the toppings. I loved the fact the tomato and melted cheese went pretty near to the edges and the base was crispy and super thin. No soggy pizzas on their watch! Jay had the Holy Smokes pizza. A BQQ base was topped with pulled chicken and smoked bacon. The ideal one for those who all about the meaty pizzas. To share we had The Smoky Mac and cheese with mini bacon strips hidden amongst the oozing cheese. 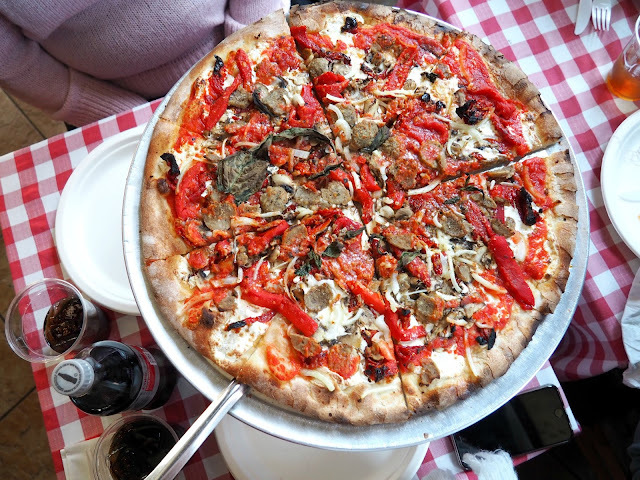 The portions are huge so you could easily share a pizza - in hindsight we probably ordered a bit too much. But of course we ate every last scrap for the purpose of this review! 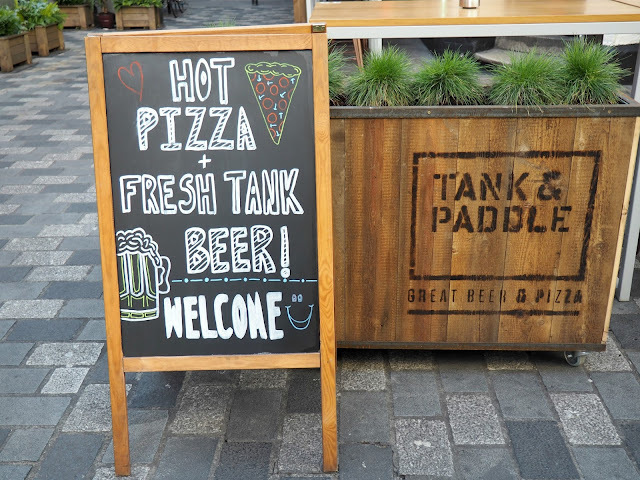 Tank and Paddle is a great place if you're on a strict time schedule in London and looking for reasonably priced grub. 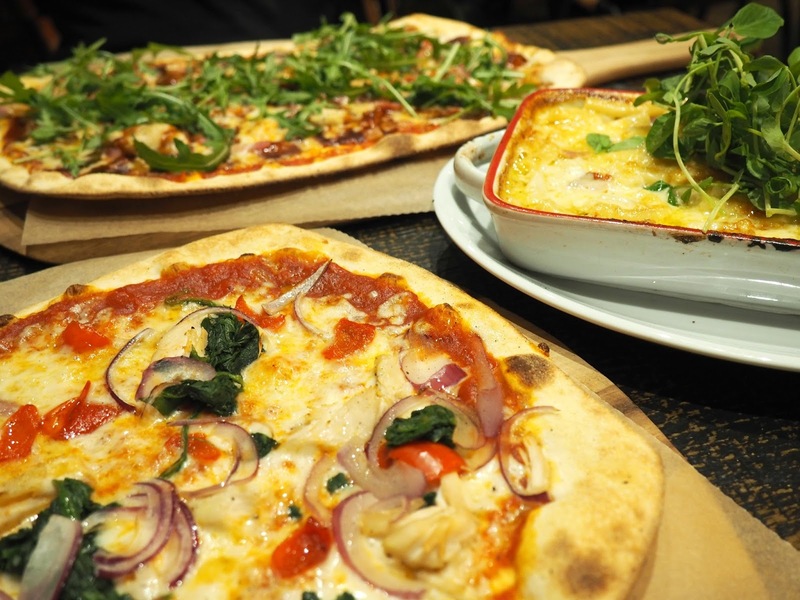 Food comes very quick yet cooked to a high standard and you can order in your own time at the bar. 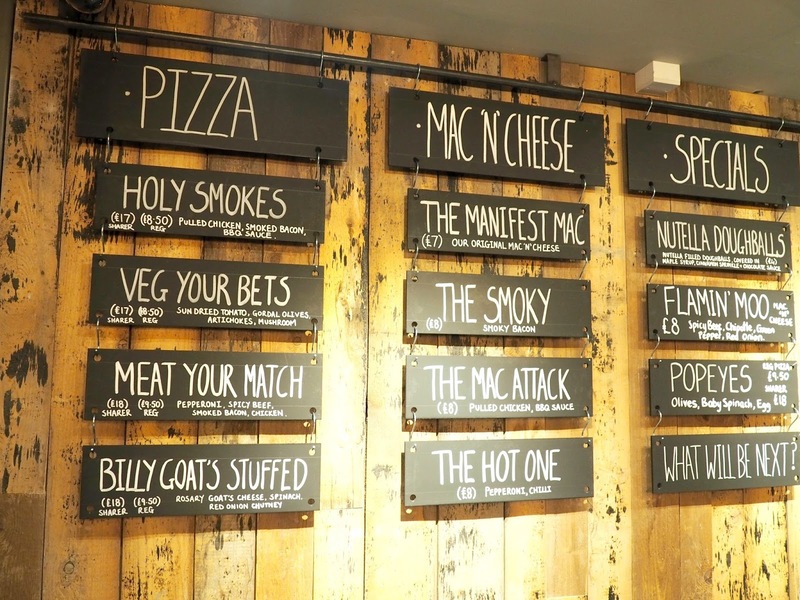 There's plenty of choice for both meat lovers and vegetarians with a good selection of beers to wash the pizza down. I know I'll definitely be back! Thanks so much for having us guys. 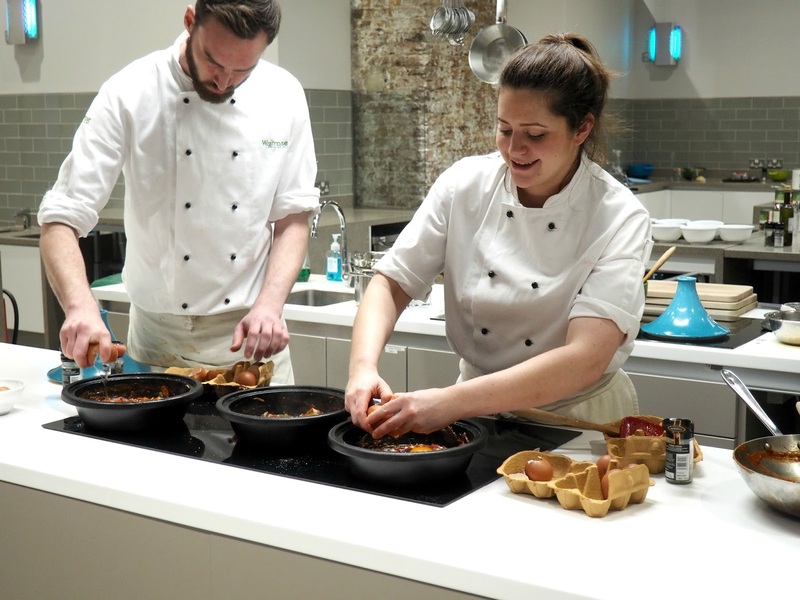 Earlier in the week I popped along to the Waitrose cookery school in Kings Cross for a lesson in batch cooking with John Lewis. I've been to the cookery school twice now and I always have such a great evening. The chefs are so knowledgeable and patient. It's a brilliant way to find out more tricks in the kitchen. I vowed to become the batch cooking master when I moved into my new house but six week later, I still haven't gotten round to making it a regular thing. This will change though. I can't believe just how easy it is! It will hardly take any time at all to be prepared on a Sunday night. 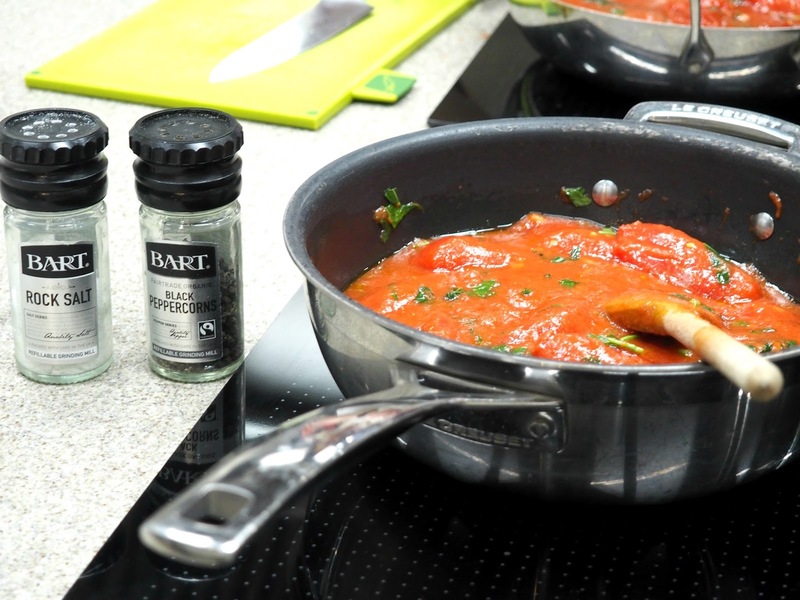 We were taught how to make a basic tomato, basil and garlic sauce which can then be kept in the fridge for the week. It's best to un-season it, salt and pepper can be added when you make the different dishes, and to use plum tomatoes as these are the best quality. Try not to let the garlic burn as this will make it taste bitter. 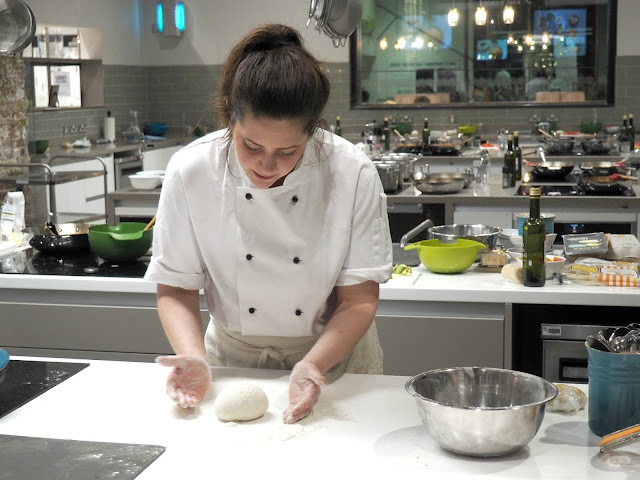 We were then given a demonstration on how the sauce could be used on a pizza and in a Shakshuka, a Middle Eastern dish of baked eggs. The dishes were prepared in what felt like no time at all and made me feel rather silly for not being too adventurous during the week. When it's THIS easy! 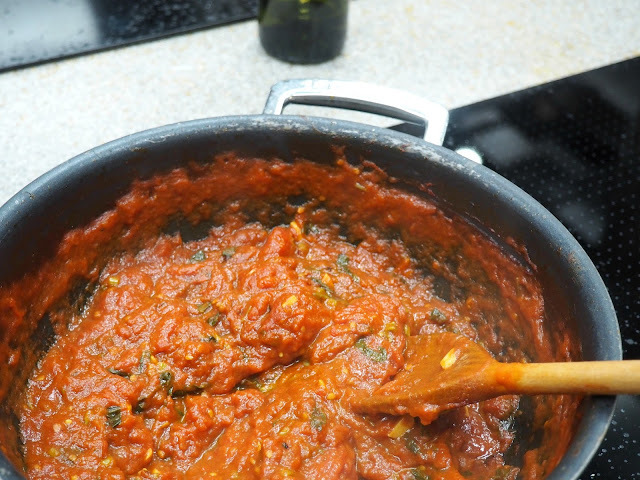 After stuffing our faces with the delicious pizza and one of the best Shaksukas I've had the pleasure of trying, it was time for us to make our own dinner with the sauce. I don't know how on earth I didn't realise it was this simple to make pasta or how I don't own a pasta machine yet. Next payday one will be mine. 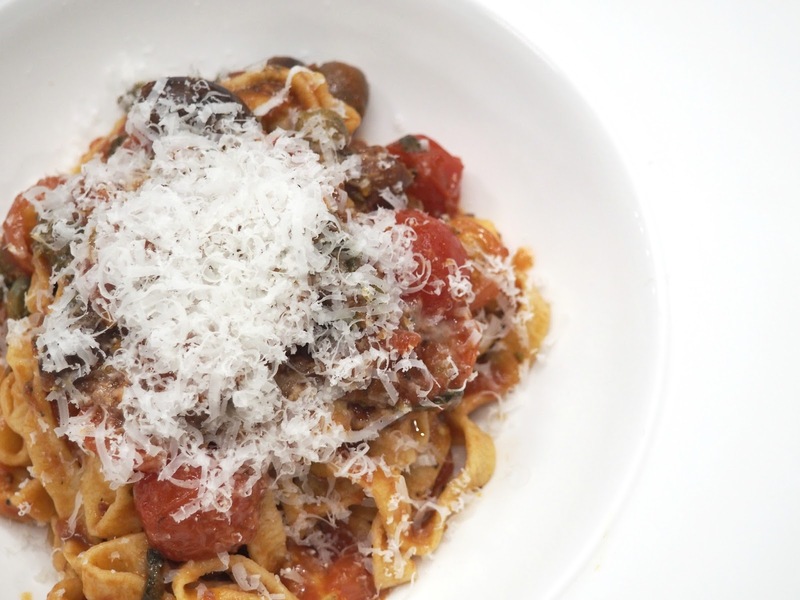 We made the classic Italian dish of pasta puttanesca. 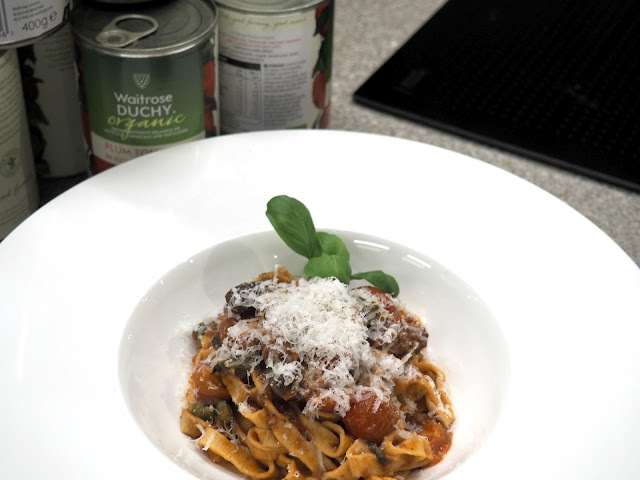 Homemade tagliatelle was tossed in a tasty concoction of salty anchovies, plump olives, flavoursome capers and the tomato sauce. Once the pasta was made, the dish came together in around 10 minutes. Amazing! Thanks for such a lovely evening guys! It's always great to meet up with some old blogging friends and meet some new ones at the same time. 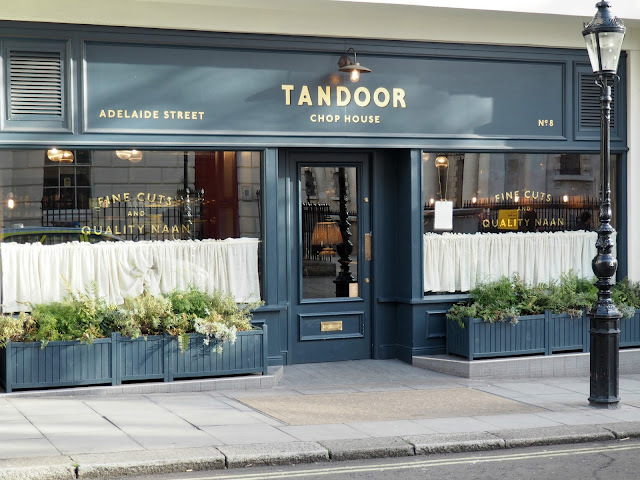 Tandoor Chop House has been on my to-try list since forever. I'm a massive fan of Dishoom and I had heard it was pretty similar. 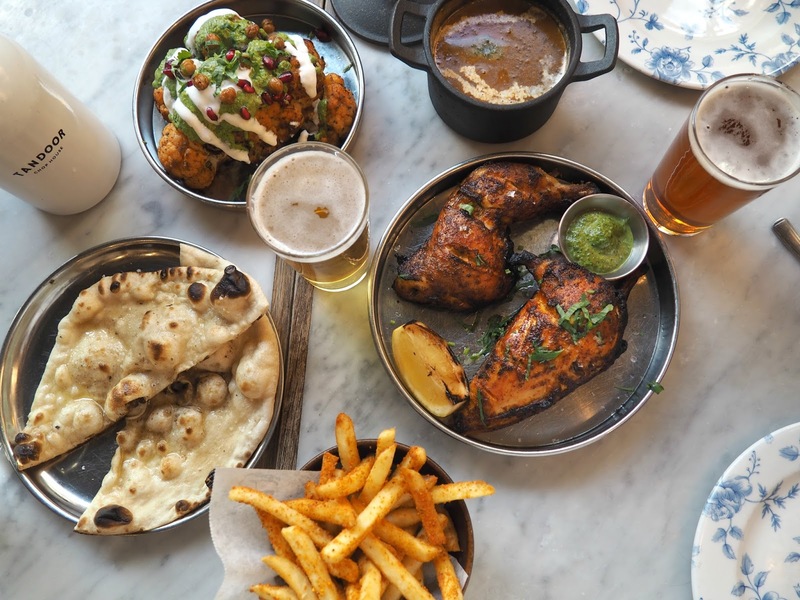 Offering more of a 'street food' Indian food option rather than the bog standard curries you get in a British curry house. I love those curries as much as the next person but I love the more authentic Indian dishes even more. My birthday proved to be the perfect excuse to try it out and I booked it for lunch on my day off. Hannah and Sarah had been a few weeks before so I already had a good idea of what I was going to order. 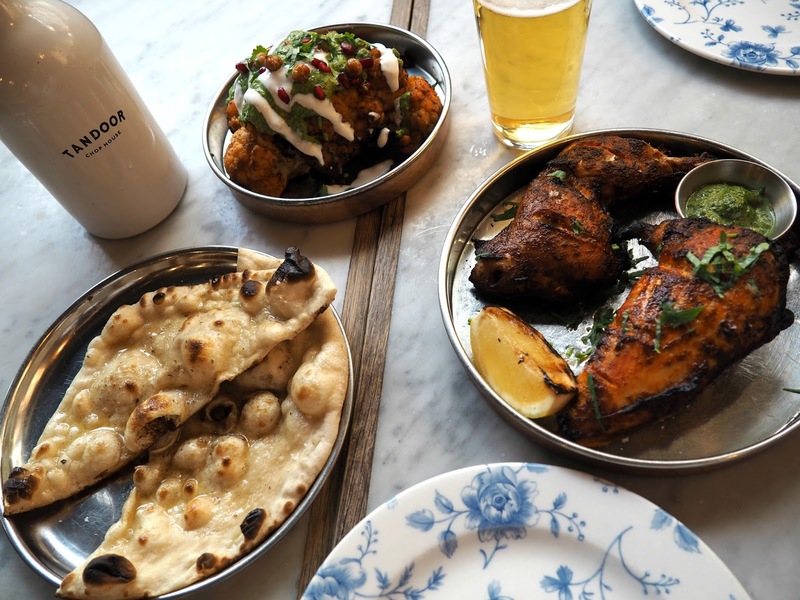 Tucked down by Trafalgar Square, the menu is meant for sharing so we order four dishes between us. Two mains, two sides and a naan bread. First up was the House Tandoor Chicken. 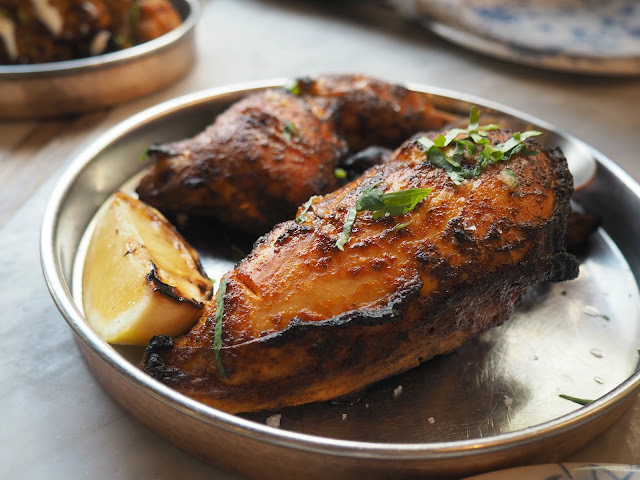 Devilishly tender, full of flavour and incredibly Moorish, this was my favourite dish. In fact, I can't stop thinking about how juicy the meat was and wishing I could recreate it at home. 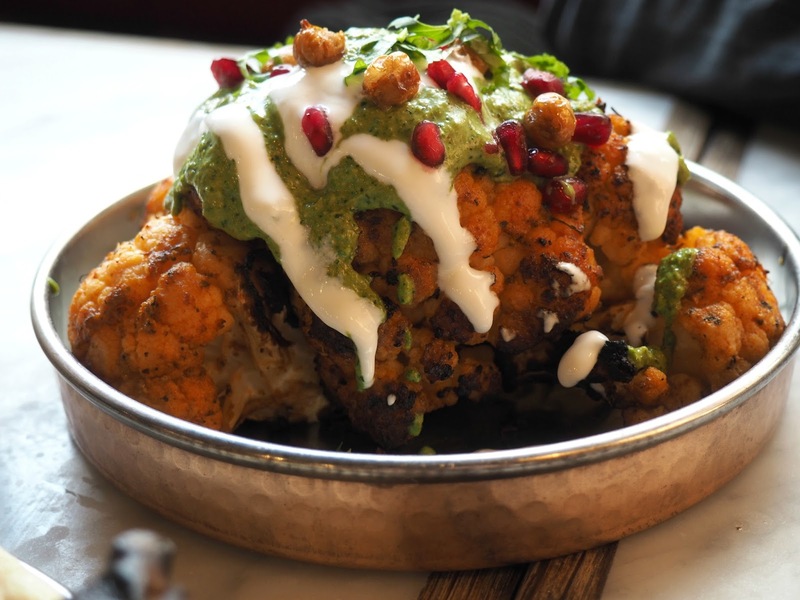 Now I wouldn't normally opt for a vegetarian main course but I'd heard great things about the whole tandoor roasted cauliflower. Perfectly charred around the edges, it has a drizzle of a coriander chutney, crunchy roasted chickpeas and pomegranate jewels to add a much welcomed sweetness to the dish. The gunpowder fries had a great kick to them and the black dahl was deliciously rich. Whilst the bone marrow naan was cooked well, I feel like it could have had a bit more flavour it it. But it was great dipped into the dahl. It was well worth the wait to visit Tandoor Chop House. I'd go back in a heartbeat and I'm dying to try everything else on the menu. I just wish we took the plunge and ordered the lamb chops. Next time for sure! A few weeks ago we took a road trip down to Cardiff to celebrate Gem and Martyn's wedding. We stayed the night at Hannah and Steve's in south London before heading across the country. Wales is a good three hours away from us, so as with taking any type of road trip it's essential to make sure your car is up to the challenge. No one ever likes breaking down hours from home! Make sure you keep your car up to date and in good shape by getting it regularly checked. Use companies such as Ossett Tyre House offer car servicing in Dewsbury if you need a little help. Despite visiting for the weekend, we probably only had a full day in Cardiff so decided to do what we do best. Eat, eat and eat some more. Take a look at all the places we stuffed our faces in and take some notes for when you make a trip to the Welsh capital. You don't want to miss out! 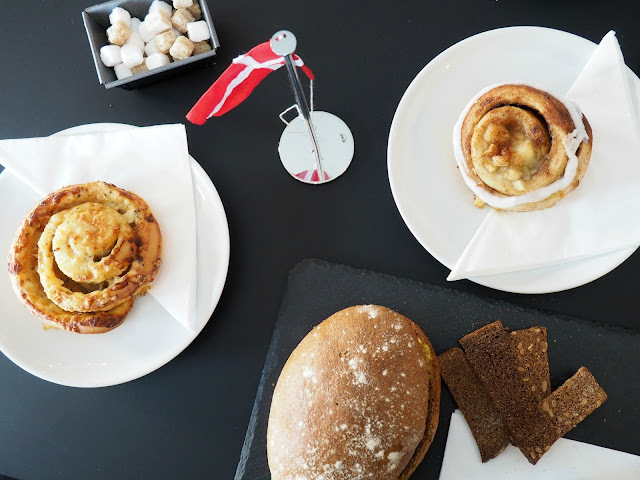 I knew as soon as it was decided we week sharing a house with Hannah and Steve, a Scandi-inspired trip to somewhere would be involved. This time it was a breakfast trip to the Danish bakery Brød. 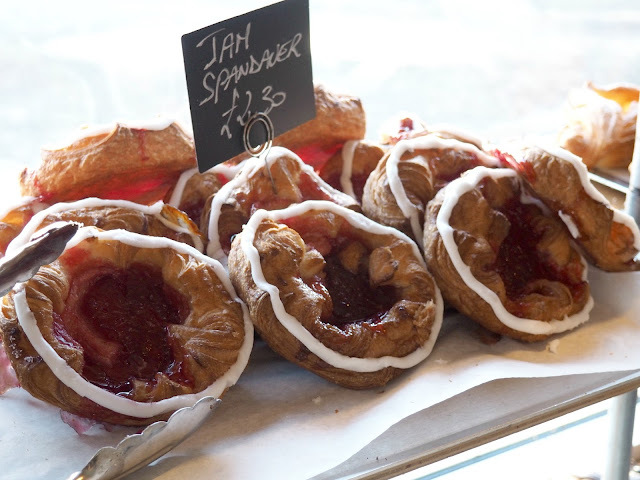 This cosy coffee shop offers an incredible selection of pastries and cakes alongside delicious savoury options which include meatball paninis, loaves of bread and mini pizzas. 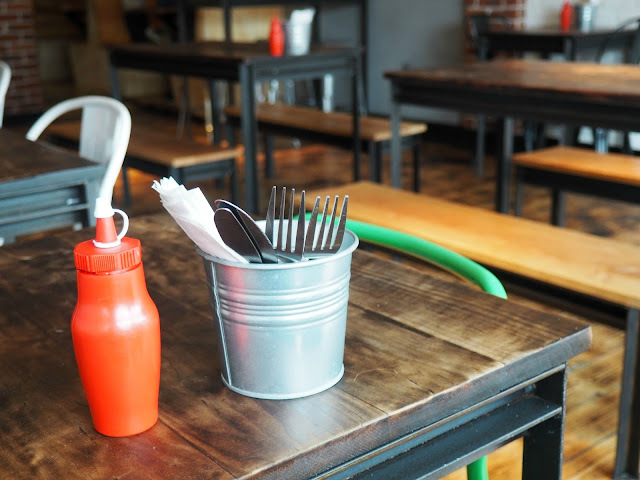 The cafe has a great atmosphere and the staff are very friendly, more than willing to to talk you through the menu. It's a little way out of the city centre but it's well worth the trip. This small but perfectly formed burger restaurant features an open kitchen where you can see the chefs work their magic. 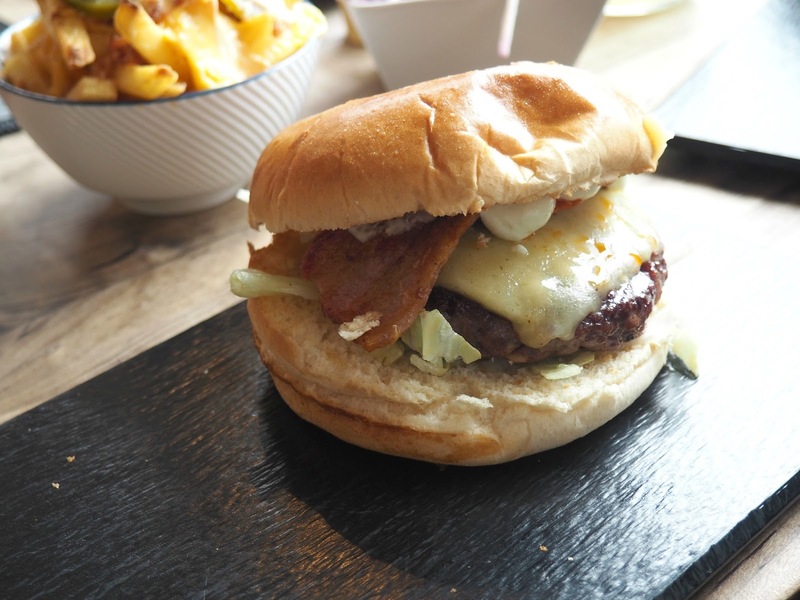 It's not the best burger in the world - so spoilt in London - but it's a good solid choice. I opted for the Soprano. A tasty concoction consisting of a juicy beef patty, smoked streaky bacon, Monterey Jack cheese, spicy jalepeno mayo and chunks of chorizo sausage. As you can imagine, it went down a treat! Gem's wedding wasn't until 5 so we wanted a good substantial meal to keep us going - and stop us from becoming lightweights when we started on the prosecco. 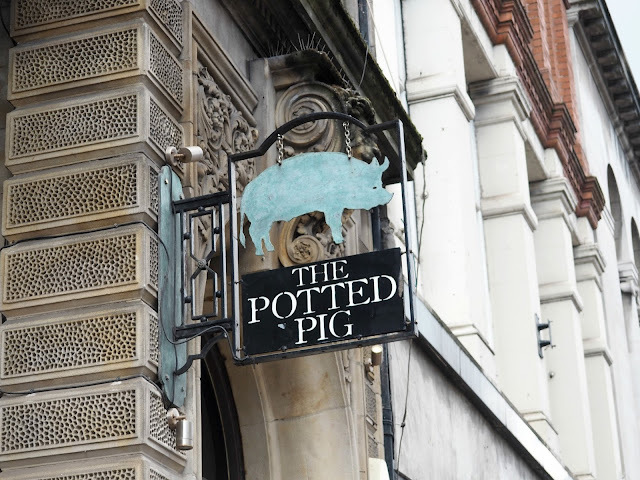 The roasts at The Potted Pig had come highly recommended. 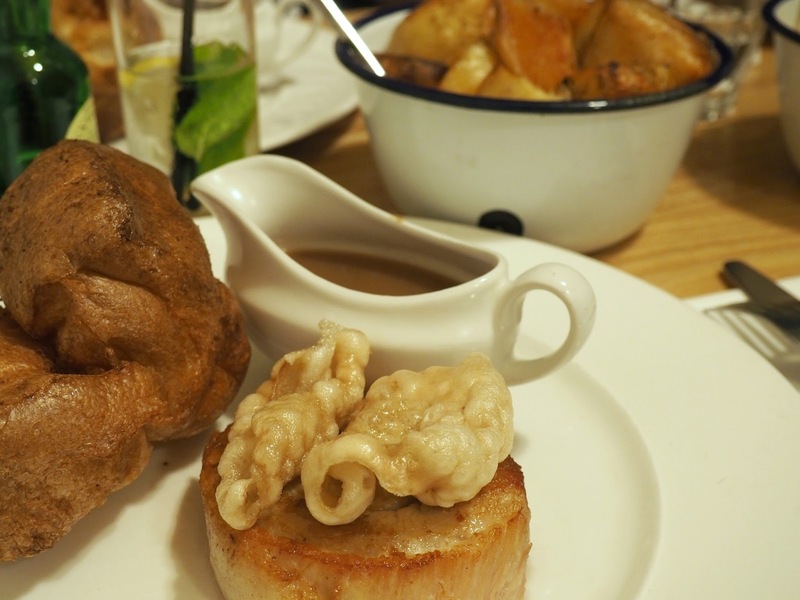 I'm not a huge roast dinner fan - take my British passport away immediately - but this one was amazing. Located in a former bank vault underneath the city, they offer an amazing set menu on a Sunday which includes two courses for £15. The pork belly was heavenly and I'm still dreaming about the cauliflower cheese now. I've mentioned time and time again that Vietnamese is one of my favourite cuisines and Mien Tay is up there as my top place to eat it in London. 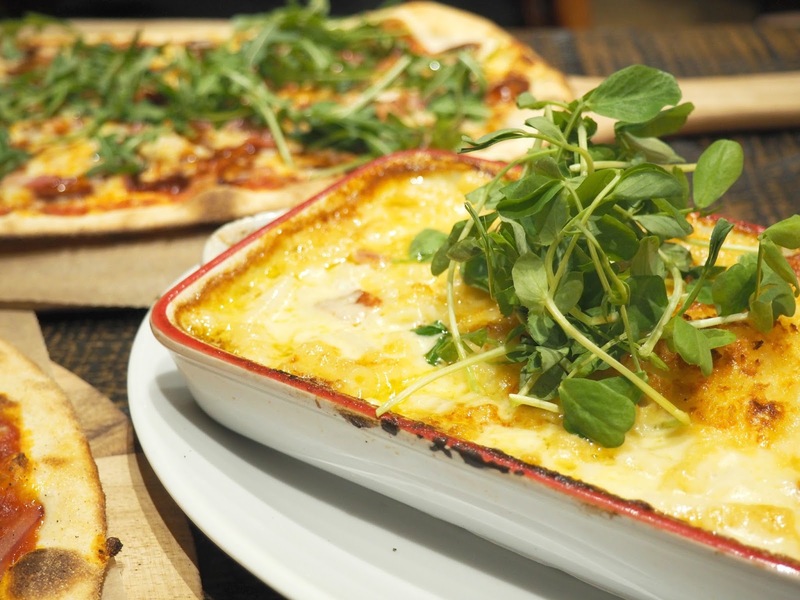 The food always tastes so fresh, it's great value for the capital and the menu is so varied. Definitely opt for the chicken clay pot curry and you won't be disappointed. 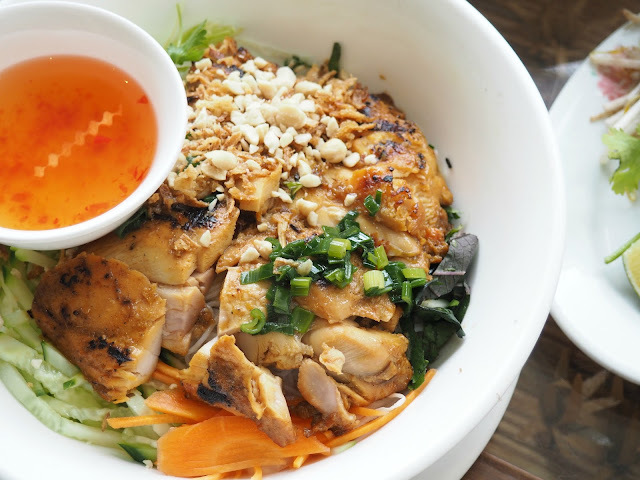 The lighter vermicelli noodles are great if you don't want a heavy meal. I've mentioned this before but thought I'd mentioned it again as they're opening a new branch in west London this autumn. Even more locations for you to enjoy the food! I tell everyone they absolutely need to try the bacon naan if it's the last thing they do. I never knew something so simple could be so tasty! 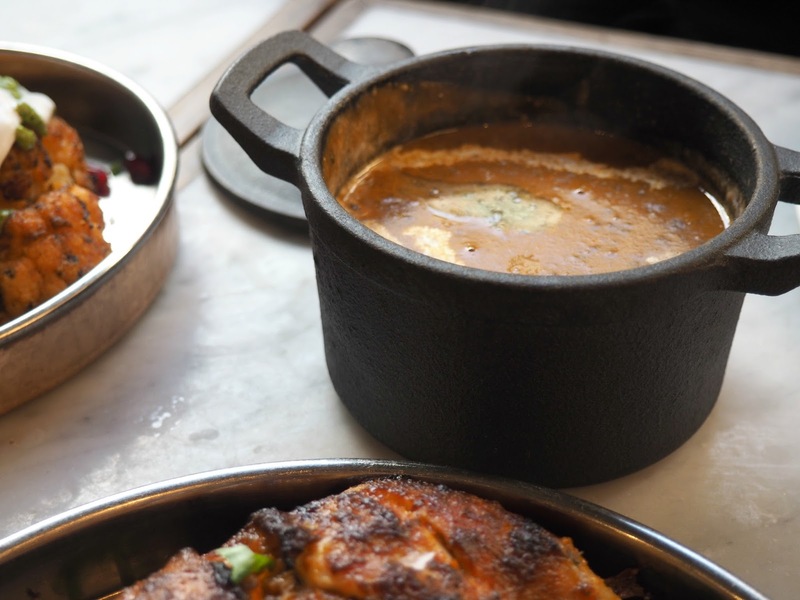 If you go for dinner make sure you pump for the delicious black dal and moreish lamb chops. 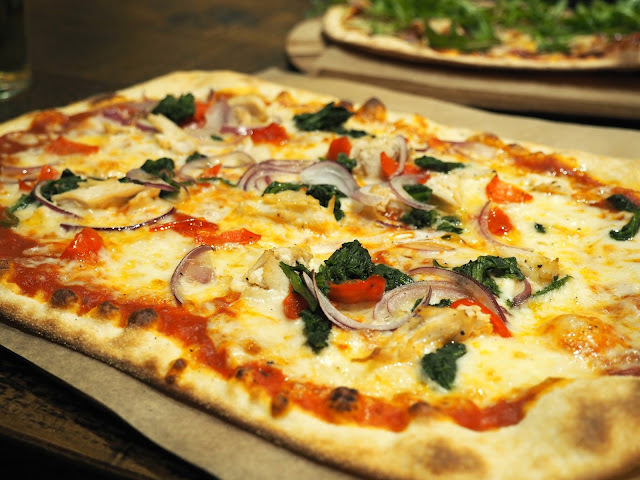 Pizza is my jam and Franco Manca is the king of pizza. Bold claim I know but true. I never opt for anything other than number 4. 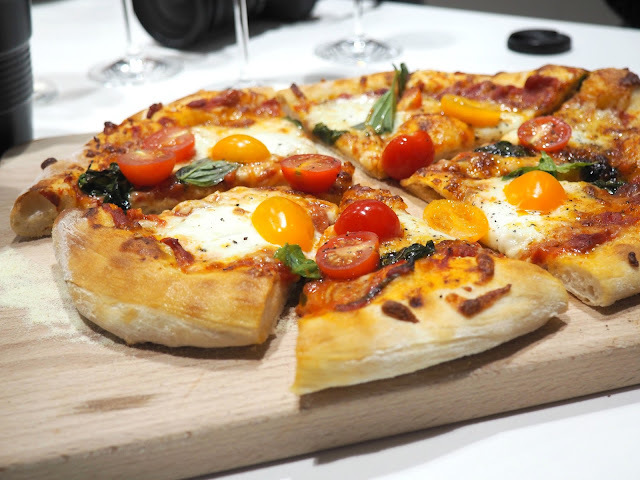 A tantalising combination of salty home-cured Gloucester Old Spot Ham, creamy mozzarella, buffalo ricotta, soft wild mushrooms and juicy tomatoes on a chewy, sourdough base. 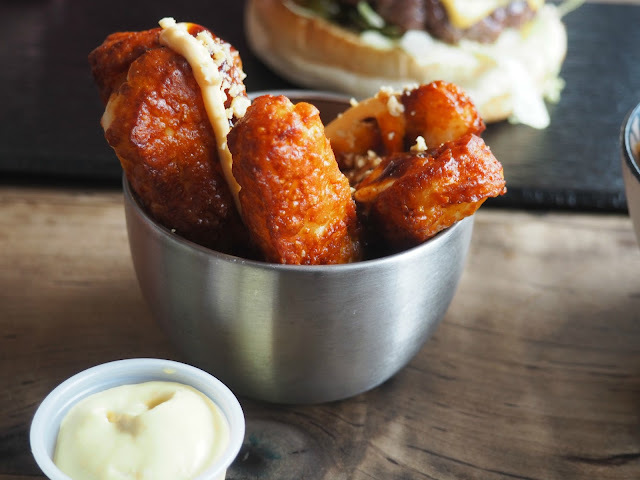 Korean Fried Chicken would be my last meal on earth and Chic n Sours does a cracking version. 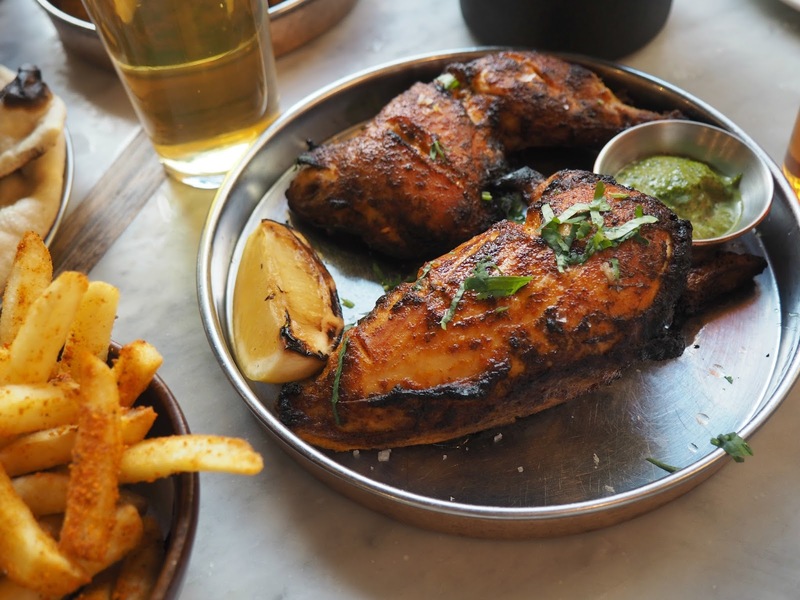 Just the right amount of heat, addictive sauce and unbelievably tender chicken. 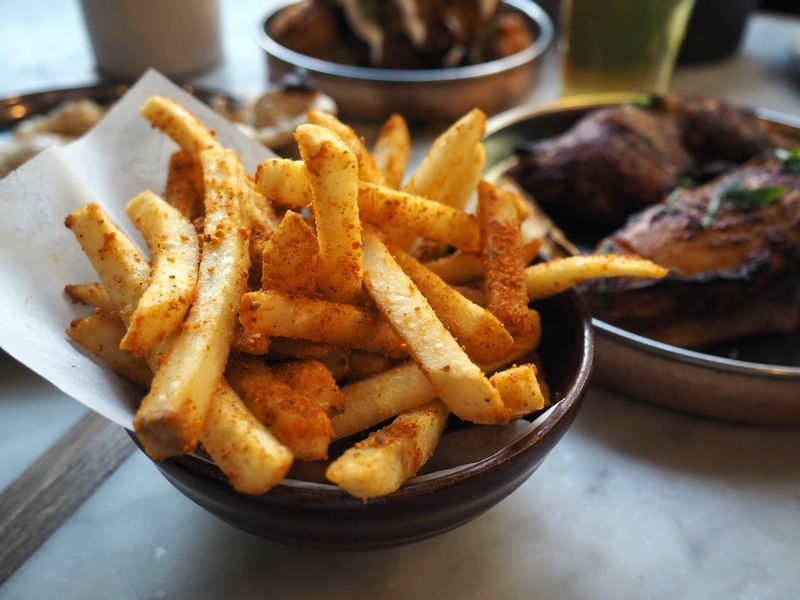 The hot Szechuan crispy aubergine, K-Pop chicken burger and addictive house fry are also well worth ordering. In fact make sure you go multiple times so you can try everything on the menu. 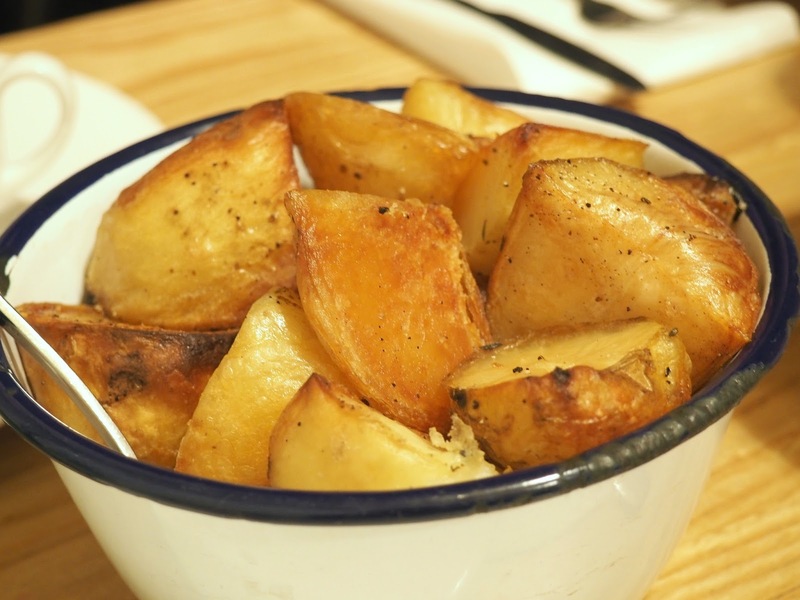 For a mere £16.50 Honey & Co offers a fantastic brunch option. The whole table has to order but you get so much food. The table can enjoy a selection of meze, breads, olives, pickles, cereals, yogurt, fresh fruit and homemade jam. Then everyone gets to choose their own main meal to enjoy. 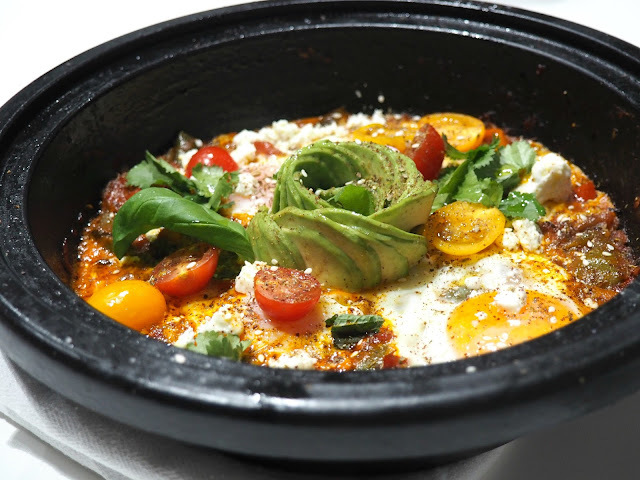 I opted for the green Shakshuka with two Cornish eggs.